Dr. Michael Maguire is the police ombudsman for Northern Ireland who finally came through for the families of the victims of the 1994 Loughinisland Massacre. The victims’ families of the Loughinisland Massacre may be the emotional center of Alex Gibney’s stunning new documentary No Stone Unturned. But by the time the film builds to its climax, a Northern Ireland police official named Dr. Michael Maguire serves as the film’s moral compass. Dr. Maguire currently serves as the police ombudsman for Northern Ireland, a position he has held since 2012. The office was established in 2000 following the Good Friday agreements in an effort to bring more accountability to Northern Ireland law enforcement, long a source for tension between the North’s Catholics and Protestants. 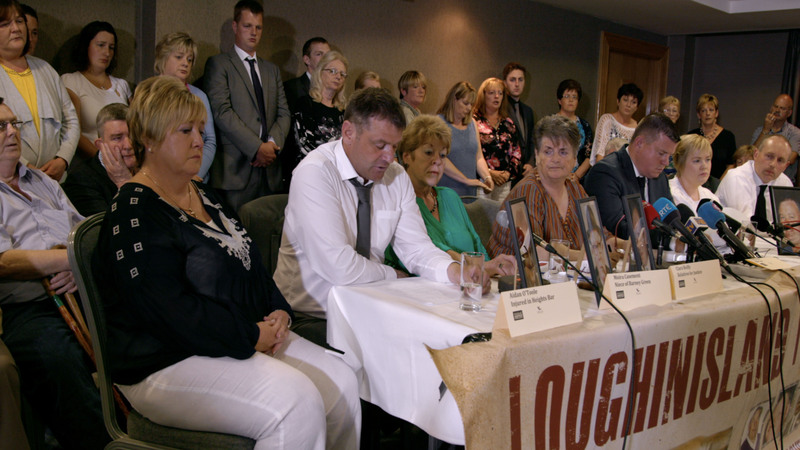 Towards the end of No Stone Unturned, at an emotional press conference packed with family members who lost loved ones in the 1994 attack on the Heights Bar in Loughinisland, Dr. Maguire essentially acknowledges that the families have been victimized yet again by the police. For nearly a decade and a half, the Loughinisland families questioned how the police handled the investigation, and wondered if there was some level of collusion between Loyalist paramilitary groups and police in Northern Ireland. In 2012, former ombudsman Al Hutchinson released a report which criticized the police but argued there was not sufficient evidence to support charges of collusion. Many critics, however, charged that it was the Hutchinson investigation which was insufficient. The families eventually filed a lawsuit; soon after Hutchinson resigned. When Dr. Maguire took over the office, it might have been easier to avoid the entire thorny issue of Loughinisland and collusion. Instead, he dove back in and came to a very different conclusion. “I have no hesitation in saying collusion was a significant feature of the Loughinisland murders,” Dr. Maguire has said. The families of the victims, including Aidan O’Toole, a teenage bartender who was injured on the night of the shooting. His office found that police identified suspects within a day of the killings yet delayed arrests; that police looked the other way when evidence suggested an officer warned suspects of looming arrests; that some suspects served as informants for the British government; and that key evidence was mishandled, and even destroyed. In an interview with Irish America, filmmaker Alex Gibney said that history will prove Dr. Maguire to be a key figure, not just in Irish history but global history. “I see Michael Maguire in a broader, international context,” said Gibney, referring to other hot spots for tension and violence in the world, such as South Africa or the Middle East, where the past is nearly as difficult to deal with as the present, because so many questions about remembering and forgetting, hurt and healing, are easy to avoid. Grieving loved ones have added that confronting what really happened in Loughinisland is a necessary step in the North’s long-term peace process. “Today we have got the truth,” Moira Casement, niece of Loughinisland victim Barney Green, was quoted as saying, following Dr. Maguire’s press conference.